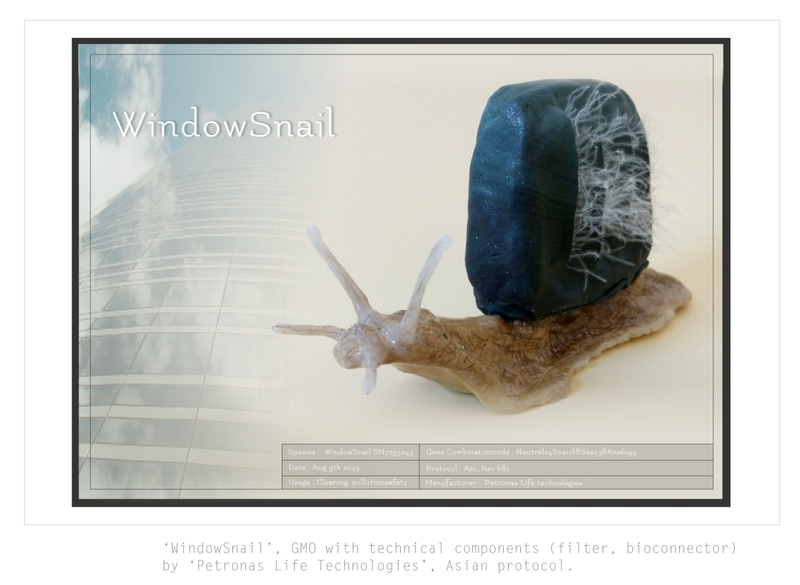 What if the leading company`s of the future could provide us with products which merge organisms with (bio-)technology? What will the products look like? 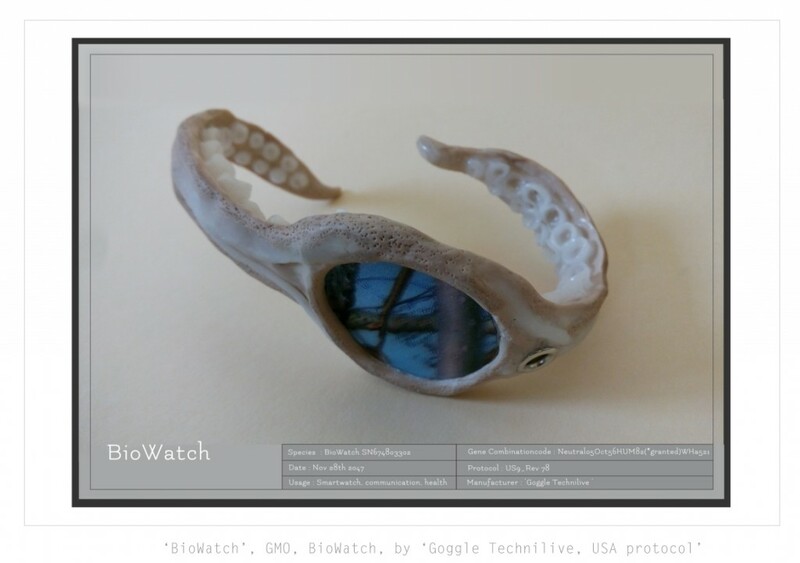 Is it ethical to create such genetic modified organisms for commercial use and for our benefit? Will there be strict regulations, laws and global protocols? Is it possible to give the cells in such a ‘product’ a biomarker’, so that we can always trace what the origin was? What are the hazards? The snail is combined with DNA components from other usefull animals with CRISPR-Cas and can be used to clean the windows of skyscrapers from algae. 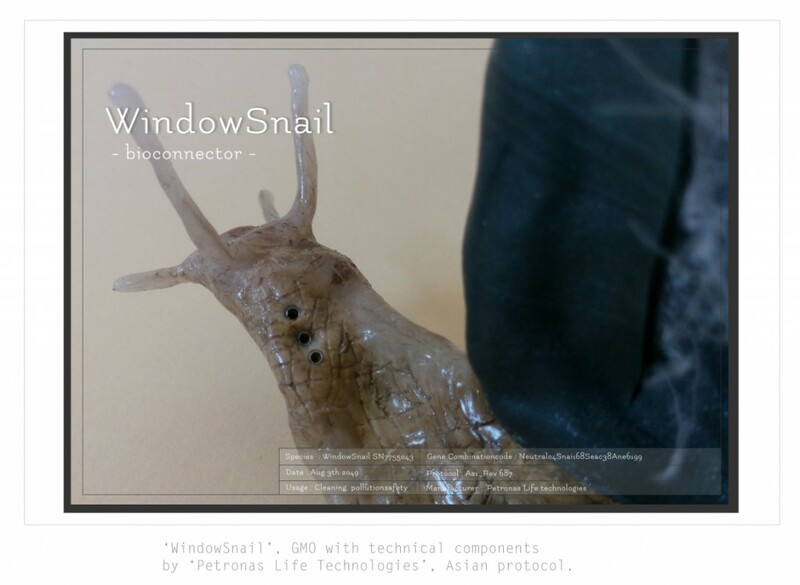 The snail has a bioconnector wich transfers pollutioninformation to a connected smartwatch. The cells have grown in and over the programmed microchip PCB. They communicate with each other. 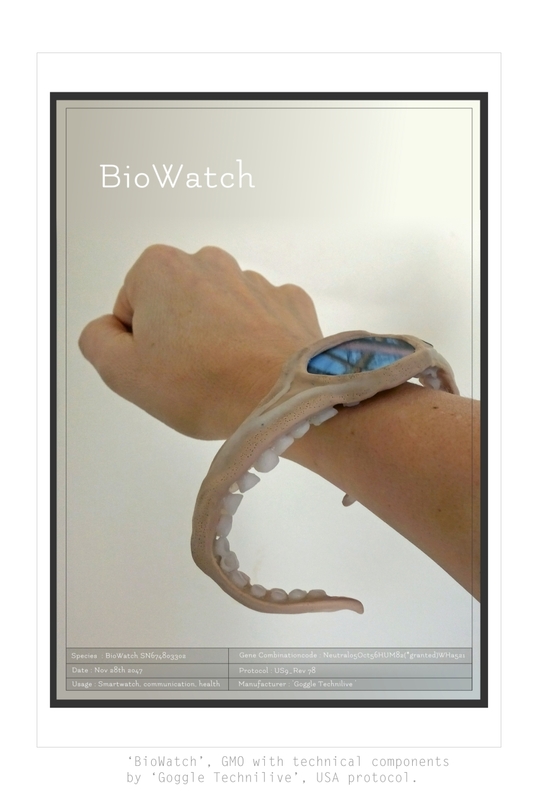 The sensors of the Bio-smartwatch can monitor your blood and hartbeat.